Sea Breeze , where great sea views come as standard. Sea Breeze is a luxury bed and breakfast offering a high standard of accommodation in the relaxed atmosphere of our own home. Sea Breeze overlooks St. Ives and the Atlantic Ocean enjoying magnificent far reaching country and coastal views. We are minutes from the town centre, harbour and fantastic beaches. Excellent breakfasts, en-suites, balconies, on-site complimentary parking and set in lovely gardens. A great base from which explore both St. Ives and the beautiful far West of Cornwall. Very helpful owners/staff. Bathroom well appointed and spacious. Lovely to wake up with a view of the sea. Don’t worry that the location is not central. The car parking is a bonus and necessary to get in and around St Ives. Have stayed here several times and they have all been very memorable. Jill and Julian are lovely friendly people. The breakfasts are wonderful. Super comfy beds and spotless bedrooms. Always visit Becks fish and chips in Carbis Bay - super food. The tips on small places to visit were brilliant , the care taken to help was much appreciated. I could not speak highly enough of the friendliness and helpfulness of both Jill and Julian. Nothing was too much trouble and were genuine in their concerns that my stay was as good as possible. A lovely couple who enjoy sharing their knowledge of the local beauty of the surrounding countryside and town centre with the harbour. They need to be complimented on the cleanliness and maintenance of the beautiful gardens and manicured lawns. They certainly take a pride in the appearance of their home. The variety on the breakfast menu is excellent and the cooked breakfasts were delicious. Thank you for a lovely short break. The laminated page of directions was an excellent guide and easy to follow, saved checking google maps. The advice about the steps and quick way to town centre was very helpful. They made me feel very comfortable when asking about what to do and see. Jill and Julian were every bit as warm, friendly and welcoming as I remembered from my previous stay. The breakfast was filling and very tasty. We had a wonderful 3 nights! Our room had a balcony that overlooked the town and sea. We enjoyed 2 hour tour of St. Ives and a hike along the coast. St. Ives is an easy train ride from London. Our hosts were very friendly and helped us with what to do. A fantastic, clean and well presented place with fantastic hosts. We were made to feel very welcome and felt we could easily relax. The breakfast was excellent and we were offered lots of advice in relation to things to see and do in the area. The location was also great as it was far enough away from the noise of the town but only a short walk to get there. We would definitely recommend Sea Breeze to others. Just get out and about and enjoy the beauty of St Ives and surrounding areas. Another perfect stay with the usual great standards of comfort. The breakfast continues to excel with a lovely range of options, much of it locally sourced. We are not the only ones who love to stay at Sea Breeze, for although we were only staying for three nights this time, we renewed friendships with two other couples who had delighted us with their company on previous visits. Tate St Ives has extended its galleries and has a buzz about it. Definitely worth a visit. Very good stay! the owners are more than helpful, and the breakfast was "the best"
As always everything excellent.Food,rooms hosts particularly.Perfect for a relaxing break. We’ve been coming to Sea Breeze for so long now that we regard you as good friends. You are both so very friendly and caring and nothing is too much trouble for your guests. Julian’s coastal trip is excellent and depending on what you like there are plenty things to do and places to visit eg Truro, Falmouth, The Lizard, Sennen, The Minack Theatre, lots of different gardens. The restaurants we like are The Firehouse, Peppers, Seafood Cafe, Pedn Olva Hotel but you are spoilt for choice for good eating places. A very comfortable and clean place to stay with pleasant and informative hosts. Thank you. We had a really lovely time. Our room was beautiful, very clean with a great bathroom. Lovely view of the sea. Comfortable bed. Lovely tea and coffee making facilities. Biscuits and fudge too. Lovely hosts who were very welcoming and very helpful with advice and information on the area. I would recommend booking restaurants prior to going away. We were provided with a list of recommendations which we used. So many lovely places to eat in St Ives. Both my wife Linda and myself have been guests at Sea Breeze many times and more recent my sister and her partner also. We have always found our stays to be most enjoyable from the clean rooms all with excellent views, wonderful breakfasts, and the hospitality shown to all by Jill and Julian. We are planning for our next visit to Sea Breeze and looking forward to going. This was our 3rd stay at sea breeze. We love everything about it. Amazing hosts,lovely breakfast and very clean. Wouldn’t go anywhere else. Thank you so much. We had a very hospitable stay. The accommodation is spotless. Your local knowledge of where to visit is very detailed and directions were very good. Hope we did not keep you up too late on the wedding day, thank you for letting us break curfew. Lunch in Porthminster Kitchen was particularly good. Another amazing year staying with Jill and Julian. More like staying with old friends, nothing too much trouble, truly fantastic. Once again thank you for making our holiday special, cannot wait until next year, already booked. Take the train to Penzance, then walk to Mousehole along the sea front, lovely views. Lots of nice eating places in St Ives, our favourites our, Mermaid and Beach cafe. You made me feel very welcome[it was like being part of the family]. Nothing was too much trouble for you. The room was extremely comfortable with great views over St Ives and the sea from my balcony. Breakfast were delicious with great choices. Thanks to advice from you both I had a great few days exploring the area. Loved the "day out" sheet you provided with directions to places to go. I'm afraid I have no tips for other travellers as I took your advice on places to go and restaurants to eat in. However I would endorse your recommendation of Sea Food Cafe. Lovely hosts who go the extra mile. Very helpful and friendly hosts. 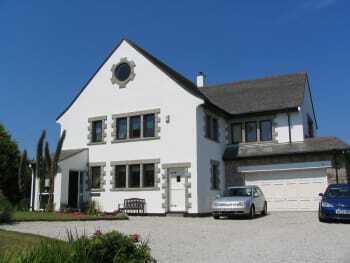 House is very clean and tastefully decorated with beautiful views over St Ives to the ocean. Breakfasts are excellent. Everything about the B&B is very good. Steep climb up from St Ives but worth it. A local bus is available if required. Enjoyed 2 meals at Trevaskis Farm which is a few miles drive. Enjoyed several walks on the coastal path and went to Falmouth by train then had two sails from Falmouth - to St Mawes and the other on the River Fal. The only thing to say is this is a home from home , you are looked after by Jill & Julian from the moment you arrive to the moment you leave. Nothing is too much trouble and the breakfasts are first class. A second stay for us - following an enjoyable one a few years ago. Standards have certainly been maintained and we were thoroughly pleased this time. Jill and Julian once again excelled and we greatly enjoyed our stay once again. again helpful ideas on places to eat Go and visit St Ives it is a lovely part of Cornwall and well worth the drive there. This is a wonderful establishment - we could not rate it highly enough. We are seasoned travellers with high standards and they were all met by Julian and Jill who are excellent hosts. St Ives delivered an excellent short stay! Frequent bus service into town is a 5 minute walk away. Wonderful location with a glorious view over the town and sea. Super breakfasts. Spotlessly clean. 10 minutes walk to Shops,Pubs & Restaurants. Enjoyed meals at The Sloop , Union Inn & Lifeboat Inn ,good choice of menu,food & service good . Easy walking to Carbis Bay ,Porthmeor,Porthmister & Porgtwidden Beaches. Thank you so much, we had a lovely stay, you were fantastic hosts. From start to finish our stay was wonderful. We had a warm and friendly welcome and would recommend Sea Breeze unreservedly. Our breakfasts were absolutely delicious, we really appreciated the fresh flowers on the tables both in the dining room, and the hallway. The ambience created added to the relaxation we both felt during our short break. Thank you, Jill and Julian. The list of recommended restaurants was really useful. We particularly enjoyed our Indian meal after a trip to the cinema (which is extremely good value for money) and the Seafood Cafe. This is our second stay here and will not be our last. The hotel is decorated and furnished to a very high standard and the owners go out of their way to make you feel at home. The breakfast was delicious made with excellent produce and cooked to perfection. St Ives is beautiful anyway and worth investigating. Penlee Art Gallery is also worth a visit as is St. Michael's Mount. Becks Fish and Chips worth a visit as is the Firehouse. There are lots of restaurants in St Ives to suit all palates. The Tate is also worth a visit. In fact this is a good area to explore. Top of the class on the top of the hill. Very high standard of accommodation and service. Every detail taken care of. Comfortable and quiet. Beautiful location and spotlessly clean. Very kind and welcoming people - almost felt like old friends although we hadn't met before. The coastal path is a must and we would love to come to St Ives again to sample more eateries; the standard of food establishments is second to none. Art galleries are of course a compulsory visit! We felt like home in your accomodation! We had beautiful holidays! A very friendly greeting on arrival with tea and cake. Jill and Julian were always very helpful and introduced us to the other guests on their arrival. The breakfasts were excellent with plenty of choices. The rooms were very comfortable and clean. The car parking was good and both Jill and Julian had a good local knowledge which they were willing to share. The house is within a few minutes walk of the main car park where there is a very frequent bus service to the centre of town during the day. In the evening it is easier to use the car parks in the centre of town where there are many good restaurants. It is worth visiting the Tate Modern and Barbara Hepworth Gallery. There are good coastal walks and mining sites, many with car parks nearby. We considered Sea Breeze a very fortunate find when we first discovered this fabulous B&B, this was our second visit. The rooms are so luxurious and this time we tried a different room with a beautiful view over the Atlantic. As before, comfy beds and so many thoughtful touches around the room which were very much appreciated, they really have thought of everything. Breakfast always a treat! Jill and Julian really are the perfect hosts who cannot do enough for you, going out of their way to make you feel so welcome in their lovely home. We will definitely visit again soon. Trevaskis Farm in Hayle makes a welcome change from pub grub... they serve food all day and also evenings, always busy! If you want to try Up market, Padstow has some fabulous restaurants but you would need to book months in advance. Fantastic location. Very quiet but easy to get to the town. Room clean and pretty with all facilities provided. Jill and Julian were friendly and welcoming. Would definitely recommend. We had a really enjoyable mini-break. Jill and Julian are excellent hosts, very informative and helpful. The house is beautiful and we were made to feel very welcome. Superb breakfasts! We were only there for a very short time and did not really "eat out", only at the fish bar down by the lifeboat station, which was excellent. We pottered around St. Ives one day, everyone was very friendly and helpful - a lovely place to be. On Friday, we visited St Michael's Mount, which was excellent and well worth a visit. Wonderful place to stay in St Ives. Accommodation is of a very high standard with lovely views and great breakfasts! The owners, Jill and Julian are very welcoming and knowledgeable about the local area. Highly recommend this B & B if you are staying in St Ives. Porthminster Beach is a great place to have a special meal, wonderful food and excellent service. Plenty of great gardens in the area including Tremenheere, St Michael's Mount and Trengwainton. The Minack Theatre is well worth a visit. Our usual wonderful stay in Sea Breeze. Very comfortable room, great sea view, wi-fi, and elegant bath room. Breakfast outstanding with ample choice, especially fresh fruit e.g. pineapple. Very close to Leisure Centre with up to date facilities. Always ask Jill and Julian for recommendations. If driving, get hold of the invaluable comprehensive route guide to places of interest that Julian has designed, and he will run through it in some detail to ensure you keep to the right track. What can I say. We've been coming to Sea Breeze from more or less the beginning. It's a wonderful house run by a wonderful couple who do everything they can to make each guests stay a perfect one. The rooms are spotless and the breakfasts perfect with lots of choice. The views are beautiful too. I can't recommend highly enough. There are numerous places to visit in the area and Jill and Julian are always on hand to recommend too. There are some fantastic restaurants down in the town. Our own favourites are Peppers, The Mermaid, Cellar Bistro and Pedn Olva. Absolutely loved our stay at SeaBreeze. The location is up the hill, but we enjoyed our evening walks up. Couldn't have asked for anything else, great breakfast, nice rooms, parking space. Julian is very knowledgable about the area, and has good recommendations as to what to do and where to eat - just ask him! Kind helpful and friendly attention from Jill and Julian.Very good breakfasts and well appointed ,clean rooms.Excellent. Recommend Beach restaurant for eat in fish and chips.Pedn Olva restaurant for food and great views. A beautiful B&B with very welcoming hosts who could not do enough to make you feel welcome in their lovely home. The Ocean view room is very comfortable with amazing views of St Ives from the balcony. Just the place to enjoy a G&T. Breakfast was great, with lots of choice of fresh fruit, cereals, yogurts and of course the full English. It certainly set us up for the day. A great location for exploring St Ives and surrounding area. A comfort to know there is a parking space for you, with a short walk downhill to the town. Make sure you get the suggested coast road instructions for an amazing day out, especially if you are a Poldark fan. We would not hesitate to return to the Seabreeze and would definitely recommend a stay there. Use the park and ride buses to come back up the hill from town. £1 is a bargain and saves you walking up the hill. The mermaid seafood restaurant and the Queens served excellent food. Make sure you book restaurants in the high season. A visit to the Minack theatre is a must. For the best tea and cake visit Cape Cornwall, the views are stunning and the apple cake was delicious. Very warm reception from the outset - made to feel very welcome. Above and beyond what was expected. Lots of local information provided to keep us busy every day. An excellent range of choices for breakfast which were all gorgeous. Room was spotless and of a very high standard. Jill and Julian are a wonderfully friendly couple. Would definitely stay again. See Julian - he'll provide lots of relevant and helpful information. Warm welcome and friendly - great brekky menu, knowledgable of area and places, walks, and restaurants. We'd choose to stay here again! Fantastic place to stay, lovely hosts, nothing too much trouble. Have been coming to St Ives for many years, would not want to stay anywhere else. Breakfast is the best ever, great variety and extremely tasty. Jill and Julian are both lovely warm people who want you to enjoy your stay. A mine of information regarding up to date local knowledge. Eating places recommended were very good. Tate a lovely building and beautiful views from the café upstairs. Also, the Barbara Hepworth garden a lovely tranquil place when we visited but might get more busy later in the day. So much to see and do. If travelling to St Ives from London or southeast probably best to do the journey with an overnight stop halfway, given the traffic congestion on the major roads. Going cross-country on the A38 is much more enjoyable (via Truro, Helston, bypassing Plymouth) but takes longer. Jill & Julian provide their guests with excellent accommodation, they make you feel very welcome from the time you arrive until the time you leave. We always look forward to Jill's lovely breakfasts that set you up for the day ahead. Our view is that St Ives is a Special place to take a holiday with many excellent places to eat and recommend a stay at Sea breeze, the views are stunning and very worthwhile. We have stayed several times in the past and intend more in the future. We received a very warm welcome from our hosts and were able to leave our car there as we arrived very early. It's a lovely big house in a secluded area of St Ives with great views across the town and to Caribs bay. The room is large with a comfy bed. The bathroom has a huge spa bath and shower and it's all spotlessly clean. Breakfast was excellent, just how a full English should be, complimented by delicious jam and marmalade made locally and available to buy, which we did. We have no hesitation in recommending this fantastic B&B. The only reason I've not scored 5 for location is because it's a bit of a climb back up the hill, but there are buses and taxis that will take you. Porthminster & Porthmeour beach cafes are both excellent, the former more expensive but well worth it. a 5 minute walk from Tate St Ives and the Hepworth museum! We had a lovely time at the Seabreeze.Jill and Julian are attentive hosts.The B&B is imaculate.Our room was really pretty with excellent double shower,well stocked tea tray and super comfy bed.Breakfast is excellent with loads of choice and cleary quality ingredients served in a light an airy breakfast room overlooking a beautiful garden which guests are allowed to sit in.We had a wonderful time and would recommend without hesitation. St Ives is a beautiful town with stunning beaches and an abundance of shops and resturants.Because of the steep terraces we took taxis down to the town and back but these are reasonably priced.However for anyone without mobility issues the short walk is lovely and part of the charm. We ate at 3 excellent reasurants The Porthminster Beach Cafe The Portmear Beach Cafe Onshore Although not cheap the food was excellent and all 3 overlook stunning beaches that just add to the experience.Even if you are not an Art lover go to the top of the Tate for incredible views in the cafe. The Minack theatre must not be missed it's incredible.Always check opening times as admittance is limited due to performances. Julian will help you with lots of local knowledge and directions. Julian and Jill give you all the tips on where to eat and places to visit , they have a mind of information. The room was fine;the bed very comfortable; the bath great. The breakfast was excellent, plentiful, very tasty, and well served. Most of all we were terribly appreciative for the concern and help when our luggage was delayed for the assistance in drying our wet clothes and providing temporary replacements. Minack Theater and Tristan and Iseult is the high point of our trip so far. We liked the Rajput Restaurant and the Barbara Hepworth Museum. A comfortable room and excellent facilities. The property is ideally located in a quiet area just above the town enabling a peaceful nights sleep. Highly recommend the Harbor Cafe and Portminster beach cafe. Enjoyed a wonderful massage at The Sails Loft. Excellent b&b. Standard of room and facilities is fantastic. Breakfast is excellent. Hosts are most welcoming, warm and friendly atmosphere. Having off road parking is definitely a bonus in the area. St Ives is great for wandering about. When the tide is out it is lovely just to walk on the sands. There are many places to choose from to eat. "The Kitchen Table" was a very good restaurant, recently taken over - but food excellent. "The Mermaid" also well worth a visit. 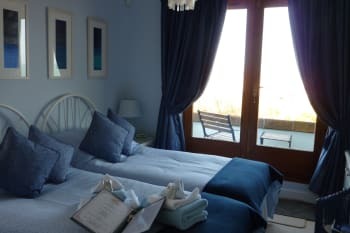 We were made very welcome by the owners Julian and Jill from the moment we arrived, the accommodation is spotless throughout and the two rooms we had both had balconies with excellent sea views, the breakfast is absolutely A1. A professionally run Band B, but retaining the personal touch. Good to have 2 comfortable chairs in the bedroom, ( something we look for when booking ) and the lovely view. Excellent standards throughout. Very good breakfast choice, although we felt the service of the hot food was a bit rushed. We needed to eat fruit etc.rather quickly. Will recommend Sea Breeze to friends. We enjoyed our stay. Excellent food and ambience at The Gurnard's Head near Zennor. The Barbara Hepworth museum and garden is well worth a visit especially on a warm sunny day. Cafe on the top floor of Tate St Ives has excellent food and a lovely view. A wonderful experience from the beginning to the end, superb hosts excellent breakfast choice and nothing to much trouble. Rooms and the whole establishment was spotless, with lovely little touches like the hand cream etc in the bathroom. Julian is a perfect tour guide, just ask and he points you in the right direction even supplying you with maps too. Information as to the best places to eat from their experience is priceless. Julian and Jill were excellent hosts. We received a very friendly welcome with an excellent explanation of the facilities. We immediately felt at home. Both hosts were very engaging and we felt comfortable and relaxed throughout our stay. We enjoyed our conversations over breakfast with Julian and the breakfasts cooked by Jill were superb. We were in need of rest and recuperation and we certainly found it at Sea Breeze. This is an outstanding bed and breakfast where attention to detail matters and nothing is too much trouble. Thank you both for a wonderful stay. We look forward to visiting again. We have visited St. Ives many times and have many favourites but if we had to give tips they would be :- 1) Porthmeor Beach Café - book a pod these are heated little caves that are ultra private and ideal to linger over a bottle of wine or a coffee on a wet afternoon or to sample the fantastic Tapas throughout the day and into the evening. The pods give an amazing view of the sea and bay. 2) At Cape Cornwall on the National Trust Car Park there is a blue trailer. The lady who runs it sells fantastic home made cakes and amazing Cornish pasties sourced from the butcher in St. Just. She serves hot drinks in china mugs and the view of the sea is breath taking. If you are feeling energetic this is a great stopping off point on a beautiful walk from Botallack (where you can see the iconic Crown Engine Houses) to Sennen Cove. A good tip is to leave your car at Sennen Cove and catch the Community Bus back to Botallack. 3) Lastly on a day when a good sunset is expected drive over to Porthleven on the Lizard Penisula. Buy fish and chips from Porthleven Fish and Chips (situated in a side road just off the harbour near the public toilets: Best fish and chips ever!!) drive up to the car park at the start of the coast path to Loe Bar and enjoy the view of the magnificent Mounts Bay as the sun goes down. If you have time the short walk to Loe Bar is not arduous but very dramatic. Thank you both. You were very attentive and welcoming. Extremely comfortable and felt welcomed. Although the house had a very good view of St Ives, it was not ideal for walking into town as there were a good many steps back up, though a taxi was only a few pounds. Perfect location for a beach lover or Explorer.Beautiful surroundings and site seen are just moments away defenetly recommend to have a stay at Sea Breeze. Thank you for making us so welcome ,we had a great time.The breakfast was excellent.You certainly have a lovely home making it very relaxing. From the minute we arrived to the moment we left, Jill and Julian couldn't have done more for us. They were the perfect hosts who extended their kind hospitality in a highly recommended B&B which is set in such a beautiful location, together with parking and views of the bays, within easy reach of St Ives either by car or on foot. Our room was warm and cosy and filled with so many thoughtful extras to cater for every eventuality and we had the best nights sleep in ages. Couldn't fault a thing, breakfast was amazing, Jill went out of her way to cater for our dietary needs and we ate every morsel. Would be go back again? In a heartbeat!Thank you both so much for such a wonderful stay, we look forward to seeing you again soon. Lovely facilities and Jill and Julian very knowledgeable and helpful. Nothing is too much trouble. Beautiful home. Good sized King room with fabulous views both ways.Great bathroom with spa bath which we didn't get time to use, unfortunately. Lovely to have wine glasses to use.Enjoyed the balcony.Hosts were very friendly and informative.We were even given a written itinerary for our road trip south, around the coast, which was very helpful. Breakfasts were a fabulous start to the day. Was our last B n B stay in the UK and we obviously saved the best til last.Thanks Jill and Jullian. Walking down to restaurants fine and taxi home is the best- £4 . Well worth it.Trip around southern point using their itinerary well worth it.Minack Theatre at Porthcurno is amazing.Climb Cape Cornwall is a must.Cornwall has so much to offer.Enjoy. Very welcoming hosts. Breakfast was perfect. Ocean cellar bistro. Beach bar and upstairs sister restaurant. Really nice welcome from our hosts and very helpful throughout our stay. Wish we could have stayed longer and will definitely return. We ate at the firehouse and the Porthminster Kitchen, both very good but different types of restaurant. Outstanding service at both of them. Lovely coastal walks in either direction and lots to see and do in the town itself. We have used Sea Breeze for many years now, and are happy to return again and again. Friendly, helpful,approachable and very informative regarding Cornwalls Peninsular. Must see is The Minack Theatre and St Michaels Mount. A visit to the Sea Food Restaurant in St Ives, and walk the coastal path around The Lizard. Friendly professional, delicious breakfast. Very well appointed rooms. Splendid B and B. Friendly warm welcome. Assistance from station to home and back. Delicious cooked breakfast with variety of fresh fruit and yogurt daily. Helpful advice about intersting places to visit they even leant us walking poles for a challenging coastal walk to Zennor. Can recommend the Black Rock Resaurant in St Ives, delicious seafood, perfect atmosphere and friendly service. Coastal walk to Zennor recommended but not ideal for the very elderly or very young. Good pub food in Zennor, watch out for serving times. Perfect place to stay in a quiet part of St Ives. Lovely sea views, extensive breakfast menu, valuable advice on places to visit. A wide range of places to eat in St. Ives for all tastes, but ensure pre-booking a table to avoid disappointment. Lovely place to stay. Very friendly hosts. St Andrew Street Bistro for an evening meal. Loads of good walks round the coastal path. Walk down into St Ives and enjoy the downhill stroll but after walking back up 3 times we finally gave in and paid a pound to take us back up on the bus. Lovely friendly people, great breakfast, super clean,will book again when coming to st ives. Beautiful views across the Bay, easy booking, easy to follow directions to the location. Excellent, friendly, attentive service at breakfast. Very knowledgeable about local services and the are in general, with provision of guided routes as well. Food, delightful. The house is immaculate. Thank you Julian and Jill, it couldn't have been better from my perspective. Don't worry about the hill.Use the buses,easy.Julian and Jill will sort the rest. We had a super stay at Sea Breeze. Jill and Julian made my daughter and I feel very welcome and could not do enough for us.Our room was very comfortable and the breakfasts delicious. 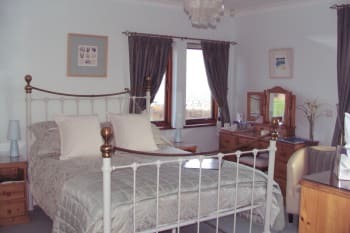 Sea Breeze is an excellent quality guest house in a good, quiet position for exploring St Ives and the surrounding area. Jill and Julian were welcoming hosts and very helpful in providing lots of local information to help us enjoy our stay. Breakfast was great and enjoyed by us all - thank you :0). Restaurants we enjoyed: La Casita at Carbis Bay, the Cellar Bistro and the Mermaid in St Ives (excellent fish at the Mermaid!). Best to book if you want to guarantee your table. Jill & Julian were excellent hosts, they could not do enough to help in any way and the accommodation was first class, I would highly recommend. We have just had our 13th stay and I think that speaks for it's self. Can't fault it. Great places to eat, our favourites are Captains table at the Sloop and Peppers. But so many good places to eat, you will be spoilt for choice. Very Friendly and helpful. Excellent breakfast menu with lots of choice. Particularly appreciate being able to park in the grounds. Beautiful location, very friendly owners with a wealth of knowledge. spotlessly clean rooms. Seafood cafe in ForeStreet St Ives does fantastic fish and steaks. Try to fit a visit to Kynance Cove into your stay in Cornwall. Lovely location, just a short stroll into St Ives centre. Plenty of parking. Wonderful sea view from the balcony, enjoyed watching the sun set over the town. Spotlessly clean with all necessary facilities. Lovely and quiet. Super breakfasts overlooking the garden. The owners could not have been more helpful or pleasant. Beautiful house, spotlessly clean. Comfortable. Quality furnishings and bathroom. Lovely breakfast. Definitely recommend Julian's tour around the coast. St Andrew's Bisto very good for evening meal. We were made to feel very welcome. Both were friendly and helpful with local knowledge / restaurants. Boat trip to seal island is a must. Would recommend The Firehouse - lovely steak and local fish. Best to book beforehand. Good choice of gluten free cakes, scones and even ice cream with a cone! Just loads to do for everyone.. The decor,bed linen and furnishings were comfortable and of high quality. The breakfast food was expertly cooked, fresh and varied. The welcome, local knowledge and ambience were warm and friendly. Sea Breeze is impressive, and Jill and Julian are lovely hosts and extremely attentive and helpful. The room was spotless and the bed was so comfortable. Breakfast was fantastic and set us up for each day. Additional to all this is the off-road parking available. Tate St Ives is closed at the moment - due to re-open in March 2017 according to the notices outside. We would highly recommend the St Andrews Restaurant in St Ives. A trip to the Minack Theatre should not be missed. This is a truly magical place. The beach area below the theatre is visited by Basking Sharks, and seeing these creatures so close in to shore is amazing. A lovely stay at Sea Breeze. Julian and Jill our hosts are lovely and very helpful giving plenty of tips of where to visit in the area and where to eat in St Ives. Breakfast was excellent with plenty of choice. The rooms are large well decorated and spotlessly clean and ours had its own balcony perfect for sitting out on and enjoying the sunshine. The see views are perfect. Would defiantly recommend and visit again. Catch the bus from the centre of St Ives to the leisure centre to avoid the walk up the hill. Eat at the Mermaid but remember to book in advance at busy times. Visit Mousehole it's really pretty. Lovely room and facilities. Great breakfast. Would stay there again and will recommend to anyone who wants to visit the area. Jill and Julian were lovely hosts, welcoming, helpful and couldn't do enough to help. Easy walking down into St Ives centre. Fascinating harbour, many excellent places to eat. Very clean, good shops and facilities and several lovely beaches. We had a very comfortable 2 night stay at Sea Breeze as we were attending a wedding at a nearby venue. Jill & Julian are such a lovely helpful couple who made us feel very welcome. 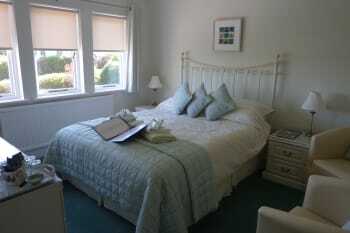 They take pride in their lovely B&B which is absolutely spotless, modern and cosy with a splendid breakfast. Just wish we could have stayed longer. if I ever go back to Cornwall I wouldn't hesitate in staying here. As we only stayed 2 nights we didn't get to explore the lovely resort but Jill & Julian are very knowledgeable of the area and have maps and guides in the room. This is an immaculate B&B exceptionally high standards throughout. The food is delicious, plenty of it and a good variety to choose from. You made us feel very welcome. Thank you, we really enjoyed our stay. Julian's mystery tour takes you to places you would never find, places of interest in different ways, and some quaint little places off the beaten track. Including an amazing beach with aqua coloured sea. Brilliant. Jill and Julian are excellent hosts. The stay was perfect. We would come again. See detailed account on Tripadvisor. Good fish restaurant near beach called the Beach. Enjoyed film at local cinema. Taxi rank right next to cinema. Barbara Hepworth museum and garden was superb. Jill and Julien couldn't have been more welcoming. We were picked up from the station, had our clothes dried for us after a very wet walk and they were happy to give any advice on restaurants etc. The house is spotlessly clean and very comfortable, set back from a very quiet road. Porthminster beach cafe serves extremely nice food. The Wharf Tea House does a lovely cream tea, superb scones! If the weather is awful recommend the spa at Carbis Bay hotel - the hot larva shell massage is wonderful. Jill and Julian are such a lovely couple who are looking beautifully after their pristine/ immaculate house. Top notch breakfast, using local produce - best scramble eggs and salmon! I've never been keen on marmalade, but I had to buy a jar when I left - just delicious. You don't know the area? No worries, Julian is a connoisseur in this matter. He will sort you out with the most amazing walks and you'll undoubtedly enjoy exploring every single location he will point you at. Thoroughly recommend. We will definitely go back. The South West coast path offers unforgettable walks. Must see: St Ives, Land's End,the Porthcurno Beach with its turquoise sea, The flavoursome Minack Theatre, St Michael's Mount and Lizard Point. Great restaurants in St Ives: Alba - great food and view to the sea,The Rum & Crab Shack - flavoursome food and very quirky place for food and/or drinks & great atmosphere; and Sloop Inn - lovely cornish pub. Hi Jill & Julian, Really enjoyed our long weekend at Seabreeze. Had lovely time. Looking forward to seeing you again hope fully soon. Beena. Friendly and welcoming and very helpful with local information and services. House and our room very attractive offering a pleasant space to be in. Views wonderful. The only slight improvement we could suggest is more comfortable chairs to relax in at the end of the day, or a small sofa. Two restaurants we enjoyed very much were the Raj ? Indian restaurant and the fish and chips restaurant opposite the lifeboat station. The village of Pol (Paul) is lovely with a beautiful old church and a good pub and Trengwainton gardens is well worth a visit. Excellent accommodation and people were really friendly. Simply stunning. A wonderfully run b&b. A lovely, well-appointed room, with balcony and stunning views over the town to the sea. A bit of an uphill hike from town but easily overcome by taking a taxi back. Delicious breakfasts and, last but far from least, extremely nice and helpful hosts. We would happily stay here again and would recommend it to our friends. Enjoyed the Tea Room on the Quay for both tea and dinner. The Porthmeor Cafe can't be bettered for watching the sunset over a drink and tapas. Loved the tour at the Tate. The New Craftsmen Gallery has a fabulous collection and extremely knowledgeable and helpful owner. Sea Breeze is quite close to the centre but it's a steep climb by road or steps if not used to it. Jill and Julian are kind ,considerate and helpful at all times .We stay at a number of b & b and this must be one of the very best . Everything in Sea Breeze is good quality, food, beds, linen etc which all enhance the stay. Lovely couple who seem to enjoy looking after their guests. Si Ives has such a lot to offer, beautiful walks and scenery, plenty of quirky little streets to explore plus fabulous beaches and not forgetting all the original art to see. Great stay at Sea Breeze. Hosts go above and beyond to make sure you have a pleasant stay and gave some great tips for what to do in the area. Room was clean and very comfortable with a great view and only a short walk to town. Would recommend to anyone! Take the road out of St Ives towards Zennor and Lands end, great views! We ate at the black rock restaurant which was very good, alba was also good. What a lovely house with lovely owners! Room was great and everything had been thought of. Food was delicious and so much choice! Professional, helpful, welcoming and kind. coasters coffee (tea shop) do a lovely cream tea. 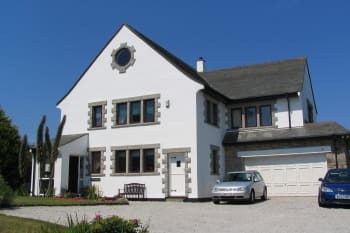 A very friendly family run Guest House offering a clean and beautiful with personalised breakfast and lots of useful advice on the attractions of Cornwall. See Food Café is great but need to book early. Loved the Scenery driving around visiting coves and other attractions. When driving need to be careful on the narrow lanes and signposts to coves are at the turnings so no pre warn signs and I would get a Cornwall map (hard copy) as there is no network reception in areas. A home from home style b&b with friendly owners who look after your every need. Fantastic breakfast and lots of helpful information about the surrounding area provided in a welcome pack. We will definitely book again. We really enjoyed cafe pizza and pasta- beautiful Italian restaurant in the harbour. Also we discovered a beautiful Mexican restaurant- the best Mexican food I've ever eaten- near the weatherspoons in town. The accomdation was beautiful. It was very clean and modern really enjoyed my stay there. The staff were really friendly and welcoming and gave us lots of tips to make the best of our stay. I would go and stay there again without a doubt. Sea world boat trip was a great experience. Restaurants along the harbour were lovely and not too expensive. People were friendly lovely place to visit. I was amazed at the high level of cleanliness and attention to detail, more like a 5 star hotel!The decor was extremely tasteful, the breakfast beautifully presented, all in all a very lucky find. I have advised friends about Seabreeze but warned them they may well need to book a year if not 2 in advance! The Carbis Bay hotel and beach shack is a lovely way to spend an afternoon or evening. Excellent stay. Amazing views. Rooms very clean and comfortable. Gill and Julian were very helpful and hospitable. One small recommendation - to have some quiet background music (or radio) during breakfast just to help the atmosphere. After staying there for 12 years we still get the same warm welcome and high standard of service we have always had. Breakfast is excellent and sets you up for the day. St Ives has lovely beaches and numerous restaurants and is still very unspoilt. We thoroughly enjoyed our stay at Sea Breeze in St. Ives. From the start when they came down to pick us up at the train station, Julian and Jill offered us assistance, advice on great hikes and restaurants, and a wonderful breakfast. They even accommodated our dietary restrictions by providing gluten free products. We had to leave early on the last day and Julian went above and beyond the call of duty taking care of us with breakfast and a ride to the train. We loved the location up above the town which provided great views of St. Ives and the coast; my only deduction was that you had to love walking up a steep hill to get home after your daily adventures. We did, as it made us feel virtuous after a nice meal. Jill assured us that there are buses, cabs, and parking at Sea Breeze to accommodate driving up from town as well, so it need not deter those who want easy access. We tried several of the restaurants recommended in Sea Breeze's tourist suggestions; all were wonderful. St. Ives is a bustling town with plenty of watering holes and restaurants to try, as well as galleries and shops for browsing all circling a lively harbor. The hiking in the area is excellent; you can take a bus down the coast to Sennen Cove and walk the headlands to Land's End and beyond. We kept going to Minack Theater near Penzance where the views just kept coming. A very quiet peaceful spot away from the bustle of the town. Excellent accommodation and breakfast. It is quite a climb up to Sea Breeze but there is a shuttle bus that stops quite near. Unfortunately it does not run in the evenings. A good range of restaurants in the area. At St. Just there is a cookbookshop which is well worth a visit. Excellent home made soup and a treasure trove of second hand books to browse. Perfect on a wet day! Very friendly & helpful couple of hosts in Jill & Julian. They make your stay very relaxing with a home from home feel. Third stay & won't be the last! Speak to Julian as he goes a long way with his tips & travel recommendations. Peaceful, quiet, restful, scenic and beautifully presented. This is an excellent B&B for anyone needing a relaxing and memorable break. St Ives is a beautiful town with a magnificent series of panoramic views, excellent restaurants and wonderful people. Jill and Julian were perfect hosts. They were very helpful with their suggestions about where to go and provided a fantastic route to Land's End and beyond with some surprises on the way. We would never have found this without their guidance and extremely well thought out itinerary. Breakfasts were plentiful and varied and the rooms had beautiful decor (gorgeous glass fish on the wall) and great views across St Ives, with the latest mod cons in the bathroom. We would most definitely stay here again.Very welcoming, very warm, very friendly. Thank you Jill and Julian. Make sure you follow the itinerary Julian and Jill have done for the route through to Penzance, via Botallack, Land's End and Minack theatre. One of the most fabulous routes ever! Highly recommend Porthmeor Beach Cafe for fabulous beach and sunset views, as well as delicious tapas and prosecco cocktails and very friendly staff. The cafe on Porthminster Beach was delightful - enjoyed a drink there in the morning but could have stayed all day. Very useful to be able to park car. Lovely fluffy towels. Comfortable bed and good quality linen. Excellent breakfast - bacon very tasty! Friendly hosts. Cellar Bistro doesn't have a large frontage, just a door leading to stairs. Food was excellent and great value. We had 'early doors' - 2 course for £16. Took the tour round the Tate at 11am - lasts 40mins and explained paintings, sculptures etc. Well worth doing. Julian and Jill were gracious, warm and helpful hosts. Our stay at Sea Breeze was relaxed and comfortable and the acommodation in the Island Room was above and beyond expectations. The coastal walk to Zennor capped off by a lunch at the Tinner's Arms was great; a surf lesson at St Ives was also great fun! Wonderful guest house, owners are very welcoming and accommodating. Will be back! Restaurants aplenty in St Ives. Porthmeor cafe is a lovely setting. The best B & B I have stayed at. Everything was just right. The ST.IVES area has numerous things to see and do. Many Museums and Art galleries. Many excellent restaurants - The SEAFOOD Cafe was my favourite. Numerous beautiful beaches, and the MINACK Theatre by PORTHCUNO beach is a must see. We had a lovely stay and you could not have been more helpful and kind. Thank you, take care and be well, Robin & Barbara. The standards of cleanliness and service were very high, the room was very attractive and comfortable and the food good. The only thing that could have improved it would be a bath as well as a shower. We had a fabulous meal at the Porthminster Beach Cafe. We had a wonderful stay at Sea Breeze. It was only a short stay, but a very enjoyable one. Everything at Sea Breeze was spot on. The whole hotel was spotless, worth every penny. Very handy for the local transport, to get down into the Resort. We were made to feel very welcome, by the owners, Jill and Julian. We would recommend them to anyone, without hesitation. There is an abundance of nice cafes and restaurants, to choose from. We had a boat trip out to Seal island, it was a very nice trip.They were launching the lifeboat whilst we were there. It was a very interesting experience. A really nice stay all round. Our first visit to Cornwall. Jill and Julian are a very welcoming couple, who provided many good ideas for places to visit complete with maps and lists. Especially useful was the map of St Ives and the list of good places to eat. Seabreeze is in a lovely part of St Ives, but it can be a challenging return on foot from town if you are a little less than fit. (like us!) An absolute pleasure to stay there, thank you Jill and Julian. Purely co-incidental, Jill and I used to work for the same company although unknown to each other, and Julian is a classic car fan like me. Plenty to talk about. St Ives is a lovely place, we found some really good eating places,our favourite being The Sloop as a atmospheric pub with very good food and beer, The Seafood Cafe, Onshore and the Queens also excellent. There is a lovely coast drive past the mining museums which are well worth a visit, take in the short coastal walk from Senna to Land's End. Falmouth for the Maritime Museum and Rick Stein's new place (£20 for 3 courses early in the evening) and the Eden Project about an hour away. For the arty Leach pottery, Barbara Hepworth and the Tate all in St Ives, as well a loads of small craft shops and galleries of varying quality and price. Great! Location was perfect, and the room was beautiful with sea views from two aspects. Shower wasn't powerful enough is my only criticism, however the view made up for this small downside. The Easter treats were also a lovely touch.